The Chatti were a Germanic Tribe who dwelt in the area of the Weser in Lower Saxony. They were described as fearsome warriors by the Romans, and they joined with the Cheruscans under Arminius to defeat the Roman Legions of Varus at Teutoburg Wald. They were famed for using infantry in battles. After they had again clashed with the Romans and in the process slew a Roman General they were banished from their lands. Moving northwards and westwards into Holland, some settled there. Another section moved across the seas into Northern Scotland. The Chattan Clan - Kethi, Keychti, Keths, or Keiths, and thus the Keith Clan. The Earls of Chatti or Sutherland. It seems that a section of the Chatti moved south into England around 76 CE. Now, there is a point here that seems to have been overlooked, and that is why a part of this Germanic Tribe should have left the rest in Holland to move across the waters into a strange land to them. There was already a tribe known as the Chatti based in Surrey, another tribe called the Catuvellauni in West Essex, and the Cassi in Middlesex, all tribes whose names fit with those of the Chatti in Germany, and other like-named tribes around them - the Chattuari in Northern Germany who moved over the Rhine as a Frankish people, and the Chasuari mentioned by Tacitus. Why should a people move across the seas leaving others behind in Holland? Maybe they moved because there was already a presence in Northern Scotland of the Chatti, whom they would have been in close contact with as kinfolk. The name 'Attacotti' has never been explained, and these were part of a Pictish Kingdom. But there is a Gothic word 'atta' which means 'father', thus making Atta-Cotti 'Father Cotti', maybe a corruption of 'Father Catti'? The Gothic link is important as I will show. It would seem that the Chatti of Surrey were held to have been here since the Bronze Age, so the 1st Century CE move southwards may even have been related to a move nearer these people of the same kin. Were the Attacotti a Germanic Tribe? Well, they were said to be a different tribe to the Picts, the latter being made up of the Dicalydones (Caledonians) and the Verturiones. We have to remember that these are Roman names using the suffix 'iones'. An alternative name for this tribe was the Vecturiones so, leaving out the Roman suffix we have Vectur which may well be related to the Vecta who is one of the Ancestral Names of the Oiscingas of whom Hengest and Horsa of the Jutes were descended. It is relevant (and important to this argument) to recall that they claimed a descent from the Goths. Going back to the Chatti in Northern Scotland, one of the Pictish Kingdoms was called Got which was translated in the Irish texts as Cait. Thus Got and Cait are one and the same names referring to the Chatti. Another version of the Attacotti is the Atecutti. We have to remember too that at some time during the 4th Century CE there was a Saxon invasion of the Orkneys, recorded in a poem from around 400 CE by Claudian - "The Orkney Isles with Saxon Blood were wet". Again, during the 5th Century CE another invasion of Orkney is recorded, in which Octa (son or grandson of Hengest) and Ebussa led the raids. The confusion over the Chatti stems also from the typical Greek use of the term 'Celtic' for the Germanic Tribes; the Greeks referred to the Chatti as 'Celtic', using the alternative of 'Kenni' - a name which sounds like the Cenimagni who were a 'minor' tribe here in England, but whose name itself suggests a link to the Iceni of East Anglia. We have to be wary here though since the Chatti seem to be linked to the Totem of the Cat, but many of the Iceni coins have the Wolf, and seem to be linked to the later Wuffingas or 'Sons of the Wolf' who were linked to Sweden. There seems to be some kind of 'continuum' in East Anglia, suggesting a link between the Iceni and Wuffingas, maybe some common origin back in the mists of time. We should recall here that there was a presence of Goths in the area of Gotaland in Sweden, and this name is pronounced 'Yotaland' which suggests that 'Jute' may well be a rendering of the same sound. There is also a 'Kategut' in Sweden. The problem here is whether the original Chatti name derives from 'Cat'; an emblem of the Chatti is a cat but we cannot say whether this was their original Totem. The 'Ch' in the name could well be sounded as the Scottish 'Loch' which would make the sound different from 'Catti'. We do know from records that two kings of Chatti origin were named Gethus and Gothus both suggesting 'Goth'. Gaut was a by-name of Woden which was probably the case with Geat. Although this may not be relevant the title of 'The Buddha' was Gauthama, who was of the Sakya Tribe of Northern India, sometimes linked to the Sacae (Greek), Sakae (Persian) and the Sacae-Sani (Roman). If all of these are related in the far distant past then we can go even further east to find links between tribes with similar names. The problem lies once again with the dogma imposed by established scholars whereby there was no Germanic Tribes here in these islands before the Romans came. There is also a problem in that Germany has a similar outlook to historians; we are told that the Celts occupied Germany, and that presumably (like the Anglo-Saxons) the German Tribes 'supplanted' these Celts. No-one seems to know where the Celts went to, so we can assume that this is another piece of misinformation brought down to us. The use of the terms 'Germanic' and 'Celtic' is rather confusing since most were one and the same, perhaps with varying dialects and fashions. But the problem lies with the misuse of the term 'Celtic' by scholars in order to suppress our Germanic origins and history. We can understand this with nations such as the Scots, Welsh and Irish since due to the usurpation of the English Aristocracy by a Norman-Breton Aristocracy (aided by English traitors within the English Aristocracy) the English were used to further the conquest of the Norman-Bretons in these islands. In time the other nations must have been forced to try to share a common ancestry in the 'Celt's, despite the fact that Scotland has some 50% Germanic-Norse origins, and the actual language of the Scots is Old English. (The language of the Gaels to the North is Gaelic.) But today this does not apply, and the Anglo-Saxon Aristocracy (apart from the section that moved eastwards and took up a role in the Varangian Guard of the Eastern Empire, some of whom settled in 'New England') merged into the Common Folk of England, where they remain today in the English Blood. What is left of the 'British Aristocracy' are the ancestors of the Norman-Breton Barons. Wales and Ireland had a proportion of Germanic Ancestry as we have shown before, and Northern Ireland. Two world wars against the Germans did not help us either, for prior to this the English regarded themselves as Teutonic. There is also the problem that the term 'Pict' was not used until around the 3rd Century CE, and no people of this name had been recorded before this time. The name, as some suggest, may have been a Roman one used because they painted themselves with 'pictures', but this is a guess. The name Caledonii seems to have been used for these people by the Romans, but again this brings in yet another complication. Caledon was an ancient city-state in Aetolia which was in Western Greece, and according to one source a wave of Greek migrations took place around 1250 BCE which included the Caledonians. This puts the idea of the Picts being Scandinavia into question, although they may well have originated in the North. With the above in mind, however, there are similar-sounding names to the Tuatha de Danaan in the Danaoi (Greece) and the Danavas (India). There is also an ancient tribe of Western Europe called the Taezali whose name may be related to the Thessalonians. It is also the case that some Welsh names are actually Greek, the name Myrrdyn being a typical example, being from the Greek 'myriad'. 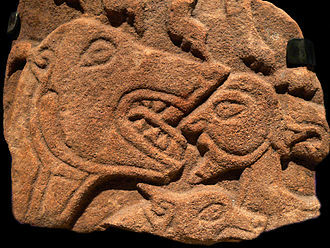 There is also a stone called the 'Daniel Stone' in Northern Scotland, showing a Wolf seemingly swallowing the head of a man, or perhaps a god - Woden? We have seen in another article how a tribe in Gaul - the Suissones - had a similar motif on their coins. I believe that some people have linked the Chatti to the Hittites. The name Khatti was given to Western Anatolia and the term Khatti was used by the Assyrians for the Hittites. The Egyptians called them the Kheta and the Greeks the Ketioi. The Hittites were an Indo-European people it would seem, or at least spoke an Indo-European tongue. This is as far as we can go with this because there is no evidence to link them together. One of the stumbling-blocks we face here is that of 'British-Israelitism' which steps in to sown the many of these ancient tribes descended from the 'Lost Tribes of Israel', which comes in handy for an agenda where the Aryan Aristocracy is supplanted as it has been today. Another point here is that the terms 'Welsh' and 'Gael' are usually rendered as 'foreigner' and as I have said of the English use of the term it does not make sense to see an indigenous people being called 'foreign' to incoming invaders. In Irish Lore the term 'Fingaill' and 'Dubhgaill' were used for 'Fair Foreigner' and 'Dark Foreigner', of peoples from outside who settled there. The words 'wealas' and 'gael' must therefore have a common origin from a common tongue. We should also take into account that since we know that a catastrophic change came to the ancient land of At-al-land in the North-West the peoples of this land may have scattered far and wide, thus breaking up tribal groups into smaller, scattered groups, maybe moving as far as the East. Some would have remained on pockets of land still above the waters, thus leaving behind the same tribal groups in these islands. Without recognising this catastrophic event we cannot understand these ideas. There is one thing that stands out clearly with the Picts, and that is they had a non Indo-European means of descent which was through the maternal line rather than the paternal line. This is why the disappeared from view since their Royal Lines were absorbed into the Scots and other tribes of the North. 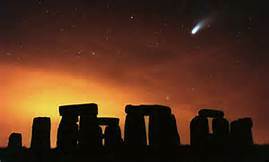 This type of lineage is alien to the Aryan Tribes which means that they may have been influenced from outside, hinting that they cam from more southerly areas of the world. Whatever the case here, it does shown that tribal names such as this are not passed down unless they are passed through the paternal line. Note: This article was inspired by an email sent by CMR, a US Folk-Comrade who mentioned the 'Chatti'.